What a run here by Jamie Shillcock as they gets over the gainline!. Michael Dowsett sets up the try. Slick passing by Worcester leads to a try for Jamie Shillcock. Incisive passing by Saracens is finished off by Nathan Earle, as he goes over for the try. Mark Flanagan comes on for Saracens. Will Skelton leaves the field. Trouble here as Nathan Earle breaches the defence. 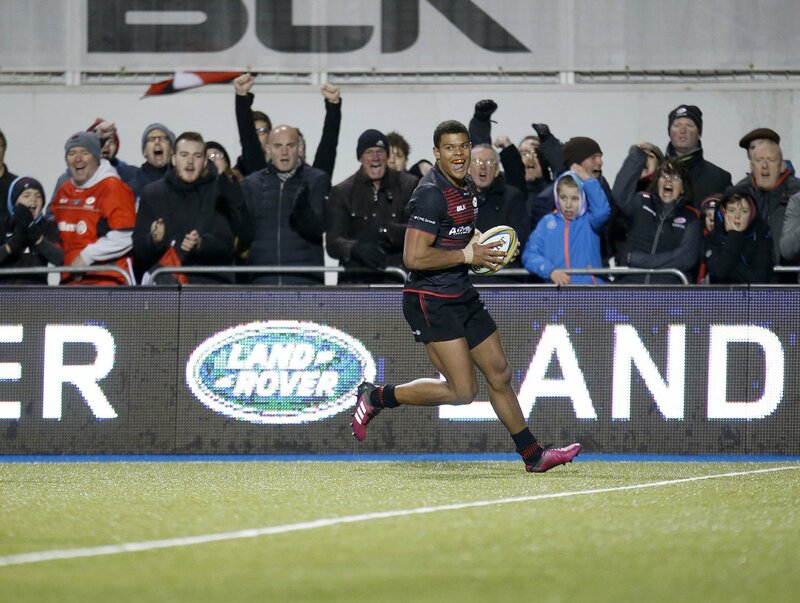 Silky skills by Saracens ends with a try for Nathan Earle. This is dangerous for the defence as Nathan Earle bursts through to advance the Saracens attack. The defensive line has been broken as Alafoti Fa'osiliva goes through the gap. A wonderful passing move by Worcester is finished off by David Denton. Worcester decide to make a substitution, with Kurt Haupt getting some game time. Worcester decide to make a substitution, with Jack Singleton being replaced. Saracens are stopped just a few metres from the try line but Jackson Wray picks up from the base of the ruck to score the try. 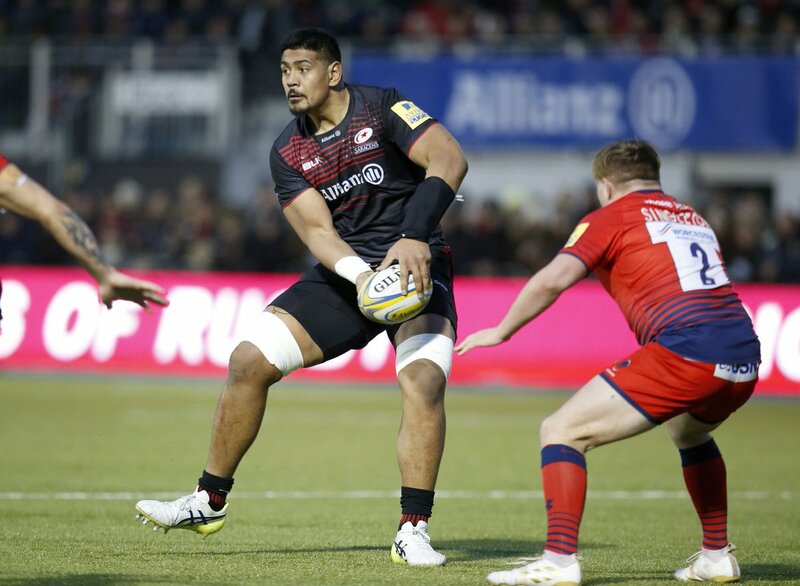 What a run here by Mako Vunipola as they gets over the gainline!. Worcester make a substitution with Alafoti Fa'osiliva coming on. Worcester make a substitution with Sam Lewis coming off. Worcester sub Michael Dowsett comes onto the field. Francois Hougaard departs for Worcester. Owen Farrell makes the break as the defence re-enacts the parting of the red sea. Spellbinding play by Richard Wigglesworth is finished off with a try. Simon Kerrod comes on for Worcester. Gareth Milasinovich leaves the field. Jackson Wray scores the try from close range. Gareth Milasinovich has made 10 good tackles so far this game. 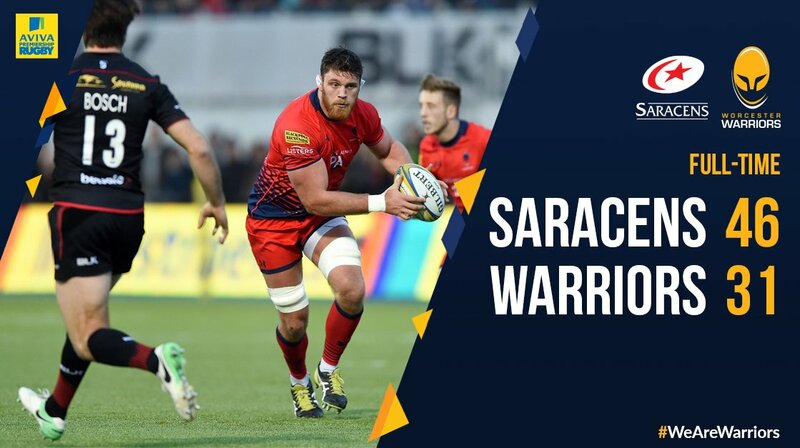 Saracens decide to make a substitution, with Calum Clark getting some game time. 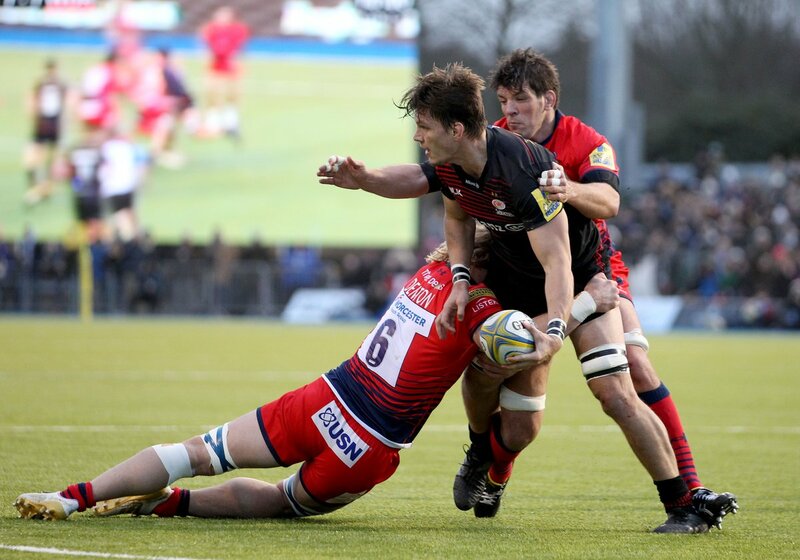 Saracens decide to make a substitution, with Schalk Burger being replaced. Owen Farrell steps up to take the penalty but pulls it wide and to the left. Saracens make a substitution with Duncan Taylor coming on. Saracens make a substitution with Marcelo Bosch coming off. Saracens sub Richard Wigglesworth comes onto the field. 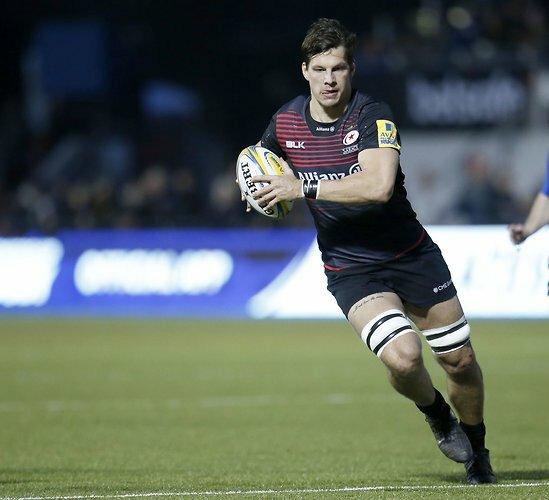 Ben Spencer departs for Saracens. Vincent Koch comes on for Saracens. Juan Figallo leaves the field. Trouble here as Brad Barritt breaches the defence. Chris Pennell does the business as his conversion attempt goes over. 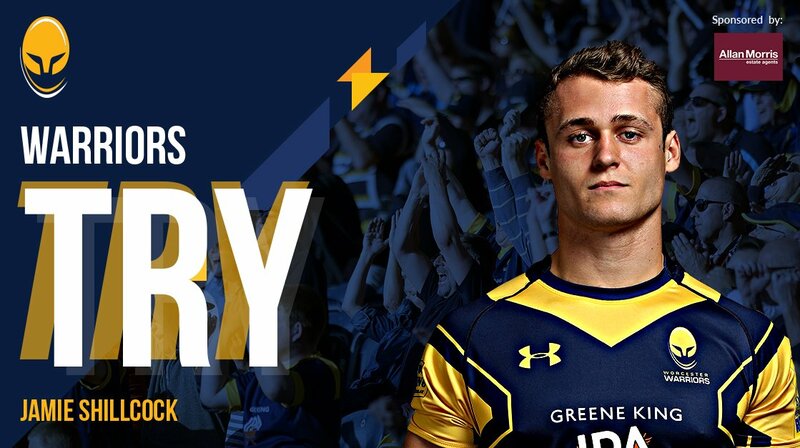 A series of passes by Worcester results in a try for Sam Lewis. There wasn't enough power on that penalty goal attempt by Chris Pennell as it drops short of the posts. The defensive line has been broken as David Denton goes through the gap. Chris Pennell kicks the penalty. That's a great try assist by Marcelo Bosch. Trouble here as Jackson Willison breaches the defence. Chris Pennell steps up to take the penalty but pulls it wide and to the right. A gap opened in the defence and Michael Rhodes took full advantage. Saracens are only a few metres out, surely they must score! And they do with Ben Spencer touching down. Chris Pennell has kicked a conversion. 🎥 "It's not about any individual player, it's the whole team." 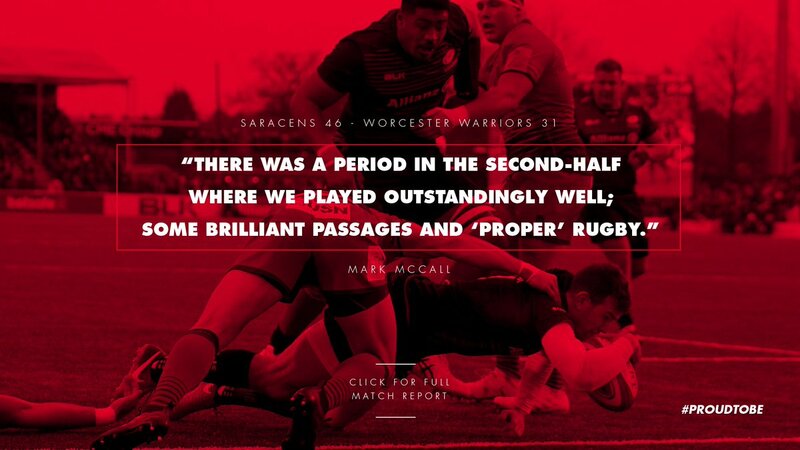 📜 REPORT | Saracens 46-31 Warriors. Don't forget there is Cavaliers action at Northampton tomorrow. Follow us from 1.30pm for live updates as Anton Bresler makes his debut. 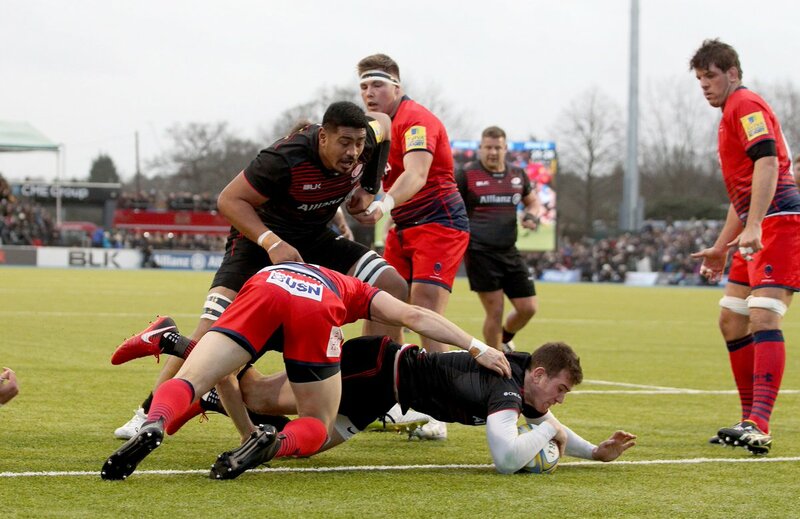 FULL-TIME | Saracens 46-31 Worcester Warriors. 80' Try Worcester. The Warriors' efforts pay off and Jamie Shillcock gets the visitors the try bonus point. 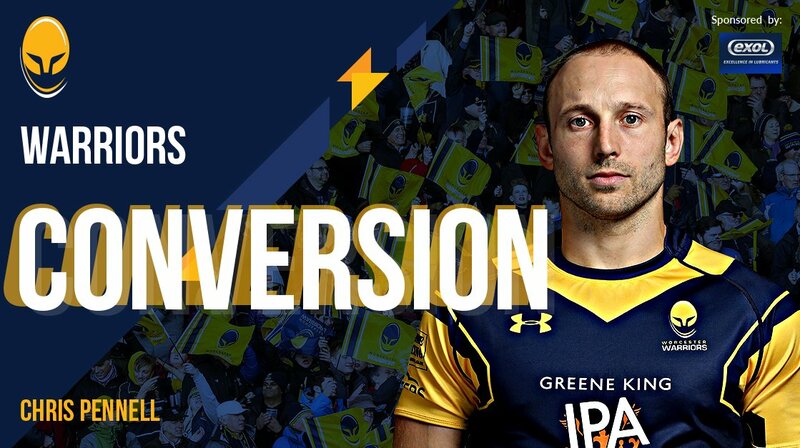 Pennell converts. 80m | MILLIMETRES COME ON!!! 79m | Into the 22...penalty..
79m | Short restart and Worcs steal the ball!!! 75m | Warriors still chase a fourth try for a bonus point..
73m | Denton halts the man just short!! !